Let’s be honest, most social media innovations come from larger companies or creative SMEs – they rarely come from governments or entire countries, where the attitude to digital can be quite conservative. But Sweden is different. 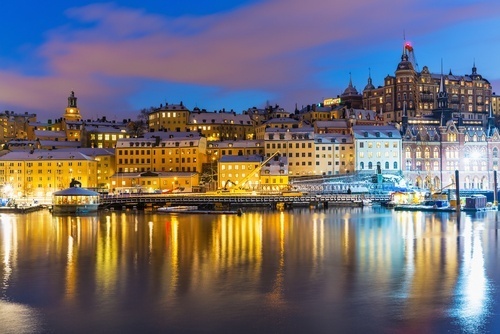 In 2011, Visit Sweden and Svenska Institutet launched Curators of Sweden – a project that hands over control of Sweden’s official Twitter account to a different Swede for 7 days. During that time, they can recommend things to do, share their opinions, and spread their ideas to over 73,000 followers. The profile picture is changed and they get a byline on the account while they control it. The result? The account is incredibly diverse and provides information that someone on a social media team in the government offices just couldn’t access or collate. The account has everything from pictures of pet dogs, to charity links, to recommendations about seasonal travel and activities in Sweden, and of course plenty of beautiful pictures (just in case people forgot what the account was actually promoting). While companies can’t afford to be quite so brave, they can learn a lot from how the Swedish Twitter account is managed. One of the major problems for companies is that the marketing department is isolated from clients. They create the copy, the materials, and the accounts that communicate with clients but they aren’t the people who truly understand their pain points or their desires, just because they don’t deal with them on a day to day basis. Shifting responsibility from updates between employees or departments may not particularly popular to start with, but it does give everybody a voice and can help you connect with your visitors on a more meaningful level. Nobody likes someone that only talks about themselves, and that’s still true when it comes to social media. Don’t just talk about your products, the benefits, and what you can do for clients. You do want to promote your company, but you can do that by providing entertainment, interesting information, or just sharable pictures. As long as your posts are still in line with you brand values and personality, you can really go completely off topic, whether you want to post pictures of fluffy kittens or general news pieces. 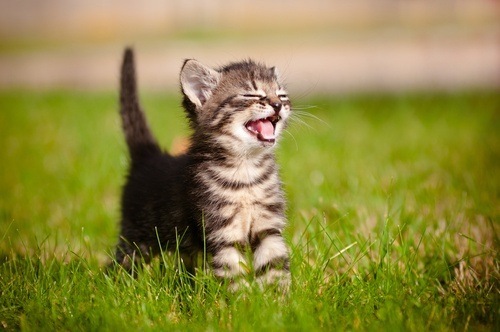 It’s true, I just want to post pictures of kittens. Businesses are generally afraid to have opinions since they can alienate customers, but some of the most popular posts online express controversial opinions or standpoints. This doesn’t mean that you should court controversy for the sake of it, but if you have a strong opinion on a subject and it’s the company stance it could actually help to voice it. Oreo are a fantastic example. 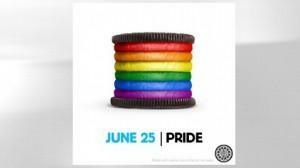 On the 25th June, they posted a now-famous picture of a ‘gay pride cookie’ with the colours of the rainbow. Yes, it got a lot of critics but it also gained 297,700 likes, 90,700 shares, and 60,400 comments. Feedback was mostly positive and it’s still remembered years later (when Facebook posts disappear and are forgotten in a matter of days, that’s quite a feat). It’s also sparked satire and further discussion offline, on tv, and in the media.